Guillaume and his father, Serge. This six generation estate is situated in the village of Chavignol and run by Guillame Laporte. 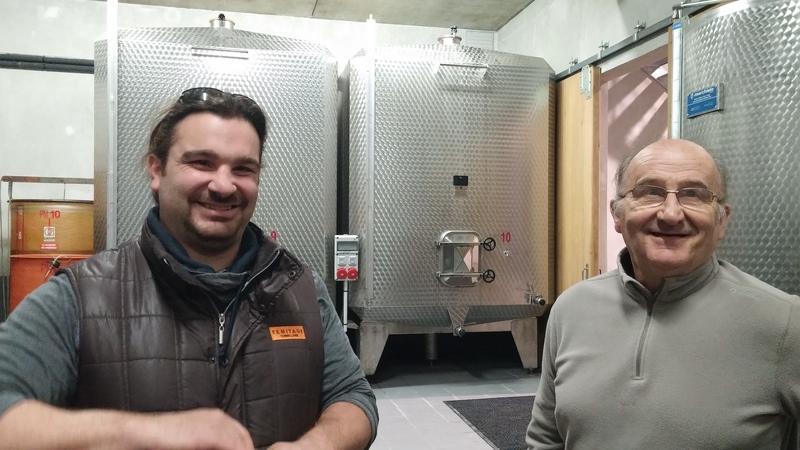 He is a happy, energic vigneron who always seems to be smiling and joking around. His vineyards are located on several different sites surrounding the town with exceptional exposure and unique terroirs defined by two distinct soil types known as “Terres Blanches” and “Les Caillotes.” Terres Blanches is dominated by calcareous clay with Kimmeridgian limestone. Wines produced from sites with these soils have distinctive power and substantial body. Les Caillotes on the other hand is mostly gravel and limestone and wines produced from these sites are delicate and fruity. Guillaume harvests and vinifies the lots separately in order to accentuate their individual flavors and aromas. Finally, the wines are carefully blended to produce classic, balanced Sancerre.